The museum was much improved from DSTL with more space to browse and a lot more costumes. Somehow seeing the clothes the actors wore makes us feel closer to them… Ok we sound creepy, we didn’t touch anything we promise! The Borg alcove, like the bridge help recreate the feel of being trapped in a Borg cube! Good luck for those of you getting a photo shoot with Alice Krige in there. Everything is a lot more open and visible, you can gawk at the actors in the autograph area and the queues for everything are no where near what they were in London. But we have that Friday feeling! The exhibitors are an exotic bunch and include some real fancies like Mars one, Xbox, Paramount, Syfy. They even have those people here who can turn you in to an action figure! We soooo want to try that! We invited ourselves along to the Press conferences (as we were already in building!) they are strange, we never get the hang of them and we must stick out like a Cardassian at Bajoran funeral. We spent most of the afternoon hosting panels, welcome to DSTG was mostly us sharing quips about us goofing around at conventions whilst Women of Star Trek opened up debates ranging from the impact of women with rank in the 60’s Trek to Carol Marcus’s bra. Ahh doesn’t it always come back to Carol Marcus’s bra. The Trek Trivia was loads of fun, we ran three rounds with multiple choice questions, name that episode and name that character. There was a sudden death round with some pretty tough questions but our elite red squad nailed it. The opening ceremony was packed but there was an incredible energy in the crowd. 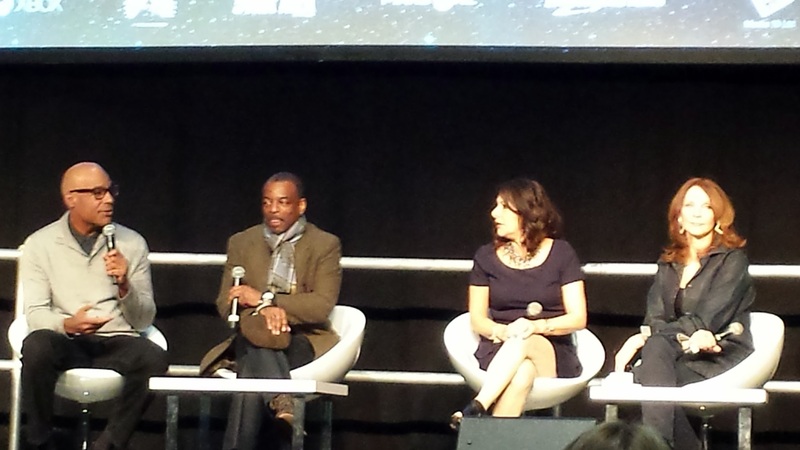 DSTG was announced as Germany’s biggest Star Trek convention to date – wow! But easy to believe, how often do you see 25 purely trek guests in Europe? It started off with a quick fly by of some of the headlining guests but still it was a good chance to see them in the flesh. 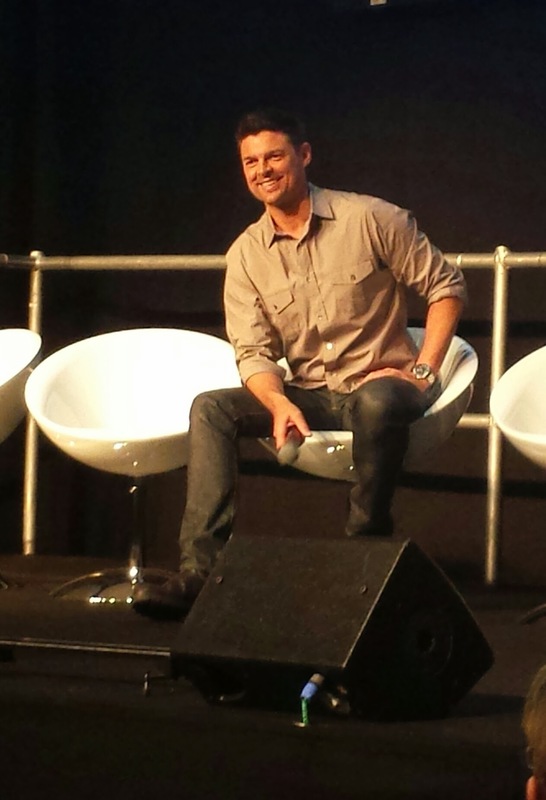 Karl Urban greats us with a “are you out of your Vulcan mind! ?” – we scream like 10 year olds! He goes on to woo the German speakers and all we understand are the collective response of “ahhhhh” from the audience! Vince Vaugh is ready to party when he takes the stage, he is having a blast. Someone in guest services is doing a good job keeping them merry tonight! But the steal of the show (as usual) went to Dominic and Conner who owned it. When we type it – it doesn’t translate (a bit like their German jokes!) they’re just funny funny people. The party was held adjacent to the Klingon zone which made sense, and whilst in the main hall it was in a sectioned off area so much more contained than in DSTL. In another switch of places there has been a complete queue reversal here. The autograph queues today were simple and fast but the queue for the bar was pretty scary when we got here! Fortunately, once everyone had their first beverage it was much better. Dom, Conner, Vince and Gwyneth Walsh are schmoozing the ball and Tim Russ’s band are performing. If you haven’t seen him play, make sure. You do one day, you won’t regret it. 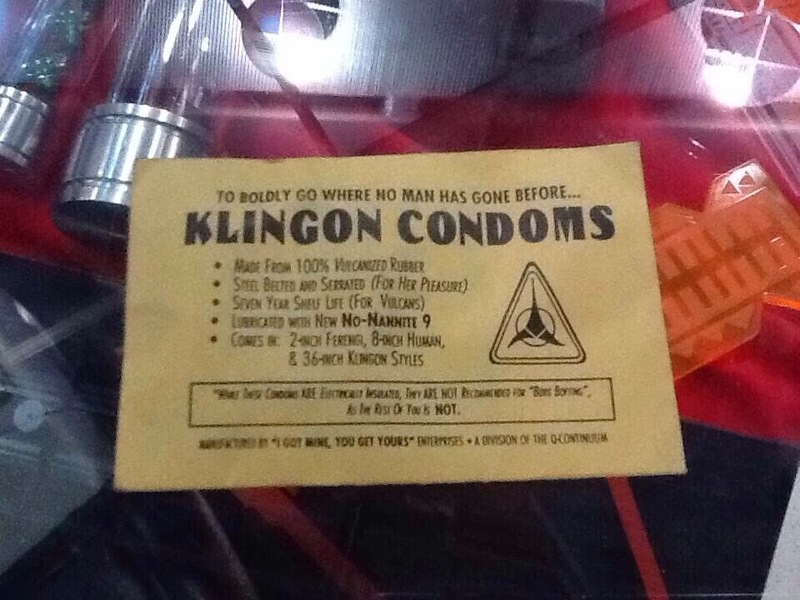 I guess they could have called this a Vulcan party…. But we’re glad they didn’t!